Put on your western outfit (or just your jeans) and join us for dinner as we say Farewell to the Ambassadors from Sydney Australia. 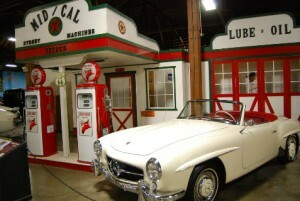 The event will take place at the California Auto Museum and docent led tours of the museum are included. Texas West Bar-B-Que will be supplying delicious meat with all the trimmings so bring an appetite! Tours and no-host cocktail hour from 6:00 to 7:00 am with dinner and entertainment following.